The month of May promises to be an exciting one. Right now — with the sun hanging out in lovey-dovey, cozy Taurus, and with no major astrological shifts happening this week (Saturn Retrograde, anyone?) — we’re in for some dreamy, soft, and gentle energy. How can you make the most out of this easy, breezy vibe? You’ll want to check out your weekly horoscope for more. So yes, this week’s going to feel restful and smooooooth as silk. But hang tight. We’re in for a major change next week when Uranus enters Taurus for the first time since 1934. It’s a huge shift for the cosmos, so think of this week as the calm before the storm. Translation: You’ll want to squeeze every bit of goodness out of this week. 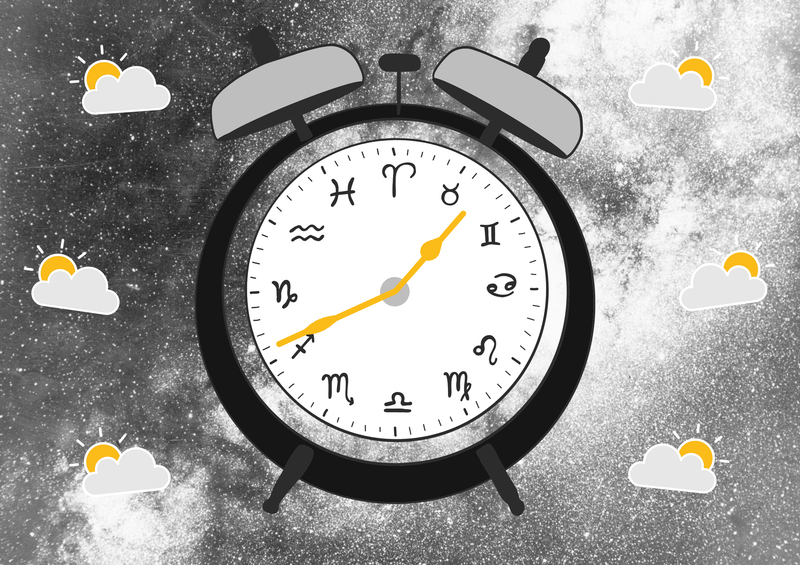 Read on to discover what exactly is in store for your zodiac sign. This is your month to shine, Taurus. Harness this amazing energy and put it toward the things in your life that you’ve always dreamed of changing (but were always too scared to try). You’re in for a dramatic shift next week, so let this week be a time of dreaming, believing, and action. You’ve been feeling down on yourself lately, Gemini. Good news! This week is going to help you feel like the queen you are. The only thing you have to do? Say yes. Yes to new friends, new opportunities, and new invites. Put out an open, optimistic energy and you’ll get that positivity thrown right back at you. For reals. Say goodbye to your hermit tendencies, Cancer. You’re feeling sociable and open to meeting new friends — and even new lovers. This is a different vibe for you, so make the most out of it. If you have to postpone a few professional tasks to hang out with your squad, do it. You’ll be glad you did. You’ve been doing some serious introspection, Leo. Laying low and getting deep isn’t the norm for you, but you gotta admit: this time of reflection has been deeply healing and helpful. Continue your solo soul-searching this week, but know this: next week’s going to get REAL for you. Love is in the air, Virgo. Yes, for you. Seriously. You’re feeling all flirty (weird for you, I know) and you’re now ready to admit that you want love in your life. Coupled up? Plan something special and intimate with your love. Single? Get active on those dating apps. It’s time to mingle. You’re feeling a little drained, Libra. Have you been putting the needs of others before your own? The answer’s probably yes because, well, you’re a Libra. This week, practice two things: saying “no” and taking the time for some serious self-care (no matter who is fighting for your attention). You’ll feel lighter and brighter in no time. What do you really want, Scorpio? The Universe wants to know, and let’s be honest — do you even have an answer? This week, the stars want you to get real with yourself. What do you want in your life? Who do you want in your life? What lights you up? Don’t be afraid to go deep. You deserve only the best. It’s time for you to get used to doing nothing, Sag. This might sound like hell for the adventurer you are, but being still and focusing on the present moment will be immensely healing for your wandering soul. Ground yourself with a staycation and some good friends. It’ll be well worth it. Got deadlines and projects to crush, Cappy? Of course you do. It’s you. Well, take this week to release your inner work horse energy because next week is all about having fun and releasing your inner child. You might want to prepare yourself by going tech-free for a bit. Don’t worry — you’ll live. You’re feeling all over the place, Aquarius. Your sense of equilibrium has been off for weeks. Thankfully, you’re in for a nice little reprieve. Though you’re still on shaky ground, by spending time with loved ones and burying your head in a new hobby, you’ll feel more stable than you have in some time. You’re in for a reality check, Pisces. Next week’s major shake-up is going to send you some signs of what’s to come. You’re in for some big decisions, which means you might want to send off that “I quit” email or have that tough conversation you’ve been putting off. You got this. A relationship of yours is about to get a big wakeup call, Aries. Maybe it’s finally confronting your passive-aggressive roommate or expressing your needs to your partner. Whatever it is, it’s time to address the thing that’s been nagging at you for far too long. In order to move forward, you need to resolve the present. Make good use of this week’s promising energy, bbs. We’re in for huge changes soon, so cut cords, rest up, and soak up the sun.